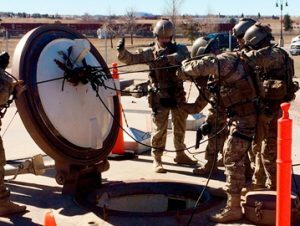 Nuclear War On Drugs: Minuteman Missile Base Guards Busted for Using LSD, etc. Fourteen US Air Force guards have been linked to yet another drug ring at F.E. Warren Air Force Base in Wyoming, a base that controls land-based Minuteman III missiles.